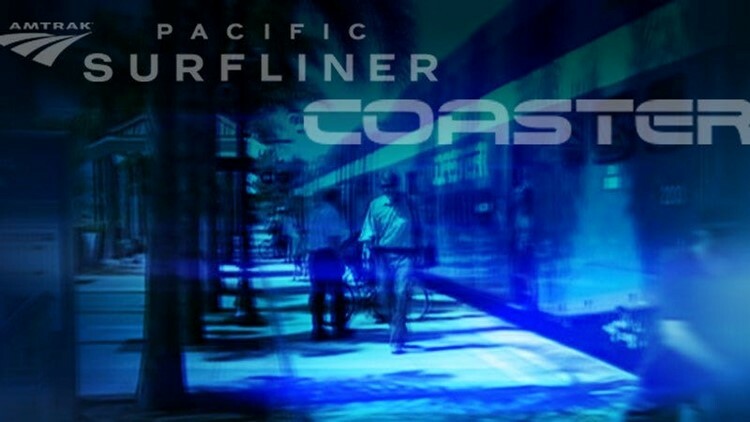 Coaster and Amtrak Pacific Surfliner services will halt this weekend for construction work. SAN DIEGO (CNS) - Coaster and Amtrak Pacific Surfliner services will halt this weekend for construction work. San Diego Association of Governments workers will install second tracks along much of the corridor to improve capacity for four line operators, including the North County Transit District, Metrolink, Amtrak and freight carrier BNSF. A separate set of tracks for the Mid-Coast Trolley extending from the Old Town Transit Center to University City also will be installed. Closures begin just after midnight Saturday morning and continue until early morning Monday. Amtrak will provide limited replacement bus services. Passenger rail service is expected to resume in time for Monday morning commutes, though delays could occur. Crews laying track between the Elvira and Morena neighborhoods also will construct retaining walls, prepare subgrade and build access roads during the weekend. In Cardiff-by-the-sea, crews will install new track and begin removing a temporary work platform near the San Elijo Lagoon rail bridge.